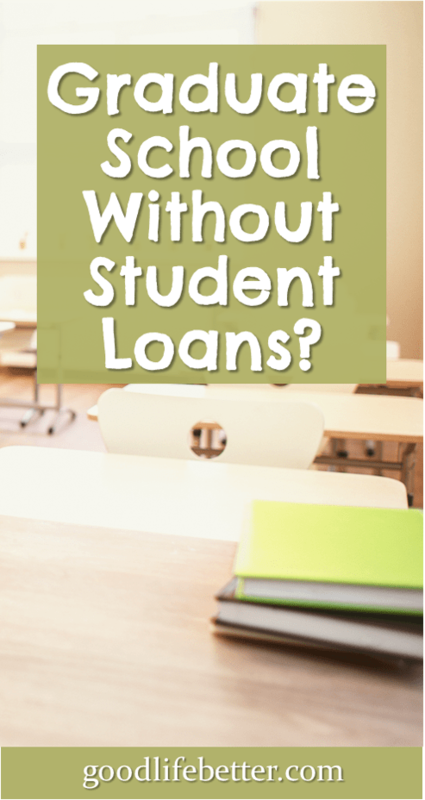 Thinking about Taking out Student Loans to go Back to School? Read this first. | Good Life. Better. 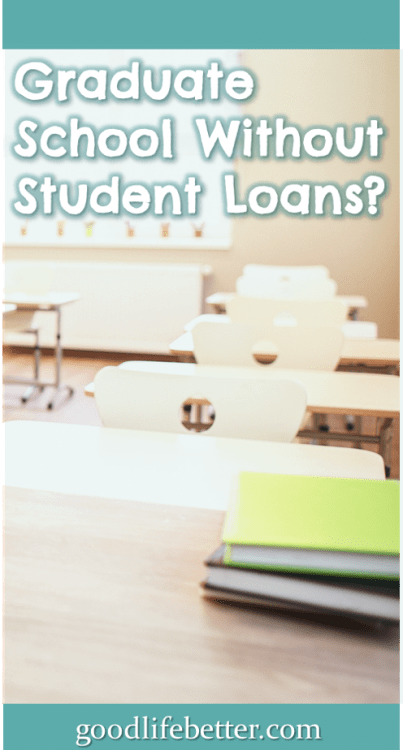 Thinking about Taking out Student Loans to go Back to School? Read this first. When I decided to go to law school in 2007, I didn’t have any qualms about taking out student loans. First, I was going to continue to work full-time so I knew I only needed to borrow enough money to cover tuition and fees which I estimated would be around $29,000. Second, I had done my homework on the options for part-time law school in my area and applied only to the best value school (fortunately, the best ranked program was also the cheapest). This meant that if I couldn’t get into that law school, then I wasn’t going to law school. 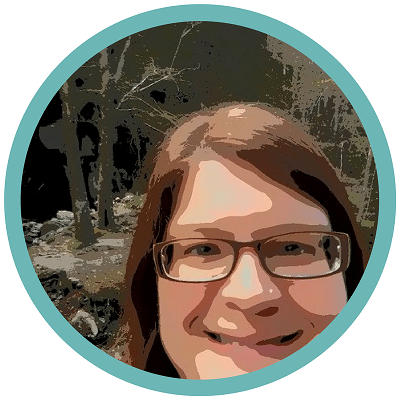 And finally, I started out student-loan debt free, having already paid off the debt I had taken out for my undergraduate degree, and gotten through my master’s program without borrowing anything. Unfortunately, ten year’s after starting school I was still working to pay off what ended up being $38,500 in debt (tuition shot up during the financial crisis when funding from the state was cut). I think back to the general unconcern I had when filling out that FAFSA and just shake my head. It isn’t so much that I regret going to law school—although I have gone back and forth on that one—it is that I regret I didn’t pay for it out of pocket. It would have been tough but not impossible. At the time, I had some money in savings and, given the fact that I had no life when I was in school anyway, cutting my spending to the bare minimum wouldn’t have been that much bigger of a sacrifice. Think about it: if I had foregone taking out any loans, then that means I could have been contributing at least $300 more to my retirement each month since November 2011 (the month I was required to start repaying the loan). Based on a simple savings calculation and estimating a 6% rate of return, that translates into almost $26,000! How can you learn from my experience? You can make sure that in deciding to go back to school, you don’t just try to figure out how you can borrow as little as possible, but identify ways you can do it without borrowing any money at all. Saving the money ahead of time. This may mean you have to postpone starting school by a year or two but think how much more you will value your degree program given the upfront sacrifice. Getting someone else to pay for it. This includes your employer (current or future) or even the government, which may offer support depending on the degree you are going back to school for. Finding scholarship. I know what you are thinking—scholarships are for high school seniors, not mid-career professionals looking to advance their skills. That isn’t true! Several people in my class had scholarships ranging from smaller ones offered by local professional organizations, to larger ones offered by the school to attract a diverse student body. Being creative. In my last year of school, I tutored first year law students in property law for two hours every other week and made $3,500. This not only forced me to master property law—a subject that I would need to know for the bar exam—it was enough to pay for the costs associated with taking the bar exam, including the cost of a review course. Taking out student loans doesn’t have to be an inevitable part of going back to school. I didn’t understand that before I went to law school and really regret not exploring all of my options. 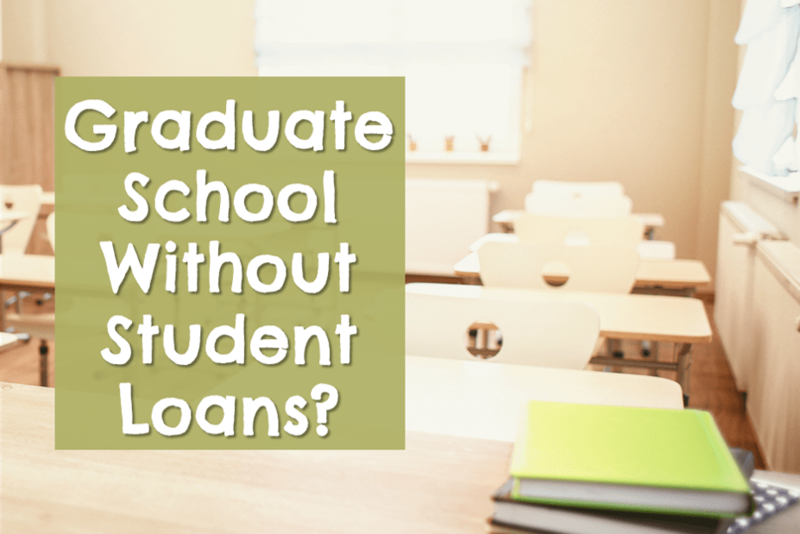 If you are determined to go back to school, do your research and figure out how you can go without relying on loans. Did you make it through school without student loans? How did you do it? Let me know in the comment section below.